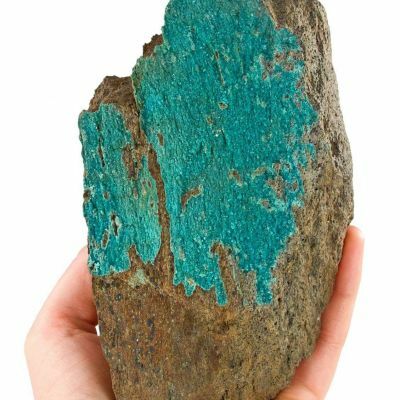 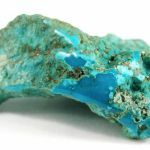 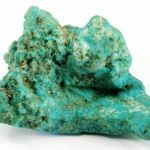 Turquoise from this uncommon Mexican locale - the La Mariquita Mine in Sonora is seldom available. 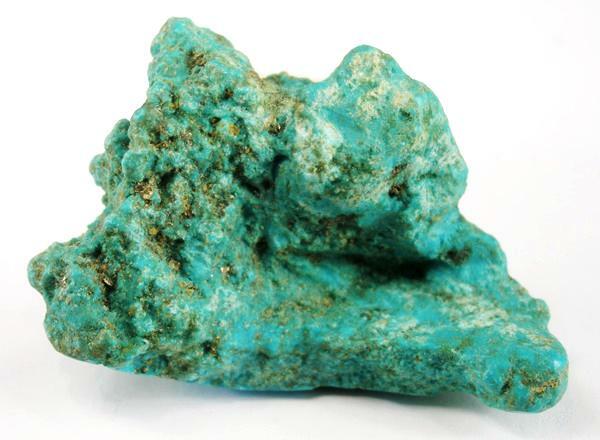 This sculptural, 3-dimensional nugget has scattered bright pyrite microcrystals in it. 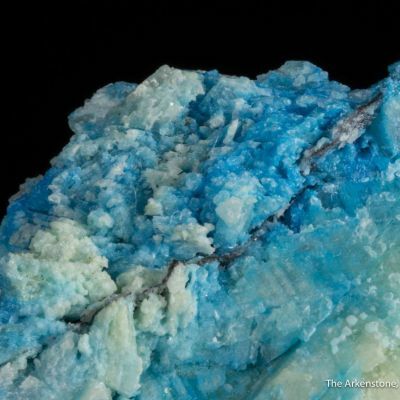 One edge has been partially polished to reveal the gorgeous, sky-blue color. 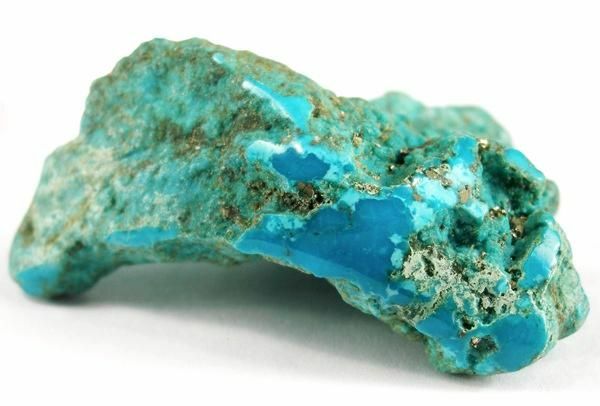 Weighs 31 grams.